Having just revisited this website and seeing the date of my most recent blog, May 2013, it made me wonder why I dropped this opportunity to share some insights, visions, and challenges. I am a breathworker and I deeply feel and know that the breath is the most basic and powerful doorway to inner wisdom and well being that we can (and must) use every day. Not a tradition in the world that does not, in one way or another, acknowledge that. So, relearning how to breathe and using various techniques, such as the connected breath, which can alter body chemistry as well as alter consciousness, is too fundamental to be bypassed. 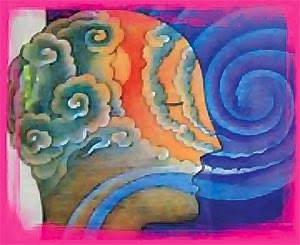 The breath begins the path of wellness and will guide us every step, as long as we allow. However, should I continue this blog effort, I imagine it must include insights from my ongoing wellness exploration. From the most refined, our breath, to the deep and dense body/mind held trauma, towards even denser heavy metal toxic loads, there's much to explore. I have been a student of many natural healing arts through my years and, due to a personal health issue, have been forced to really practice that which I have preached. And it has been a good and worthy journey, showing me that I am stronger and weaker than I ever imagined. I am surprised! Didn't know there was so much more to just breathing. I just wish there was much more explanation to given or some references to learn more about it.